Left; Ofw. Eduard Lindinger of KG 1 and NJG 5 and, below, his G-6 'C9+ET' after an undercarriage malfunction on landing at Lueneberg in early 1945 (picture via EB). This 9. Staffel machine is fitted with a 'shortened' 2cm SM installation and single MG 131. Note the cabin roof-mounted Naxos. 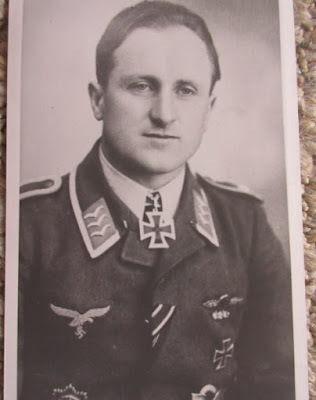 Lindinger was awarded the Ritterkreuz for 300+ sorties in KG 1 but enjoyed a singular lack of success as a night fighter - he returned no night victories while in III./NJG 5. Lindinger passed away on 1 September 2004. 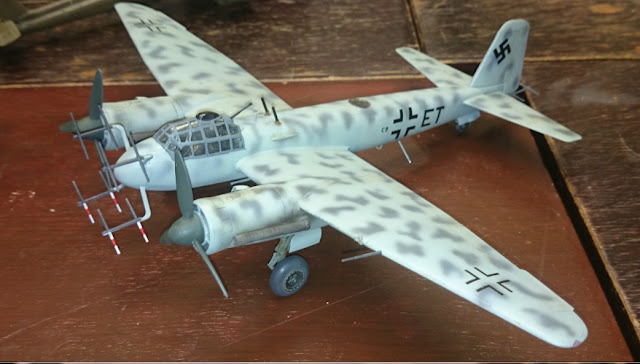 Below; my Zvezda Junkers Ju 88 G-6 night fighter in 72nd scale with the addition of resin Jumo engines, exhausts and spinners from John McIllmurray's AIMS. The engines feature finer detail and perfectly engraved supercharger intakes and, perhaps more to the point, are the correct length. I fitted them in this post. The kit tail fin is rather short and I did briefly replace it with a Quickboost replacement item. However the QB rudder was not the correct shape at all, so in the end I used the kit fin. I have built this model as a representation of Eduard Lindinger's G-6 'C9+ET'. The decals were 'assembled' from various AIMs sheets, most notably the superb new 'Ju 88 Fighters' sheet reviewed on this blog here. 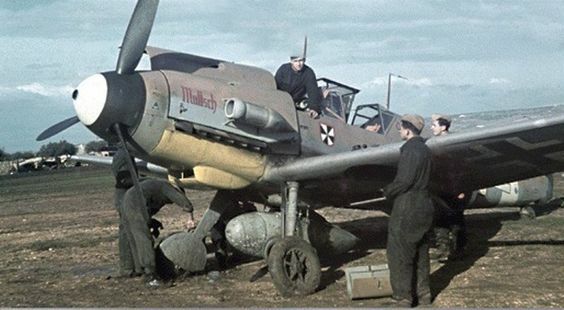 Note the 'solid' fuselage Balkenkreuz on the real machine - which I missed, but is easily fixed. Rather unusual for a 1945 machine.